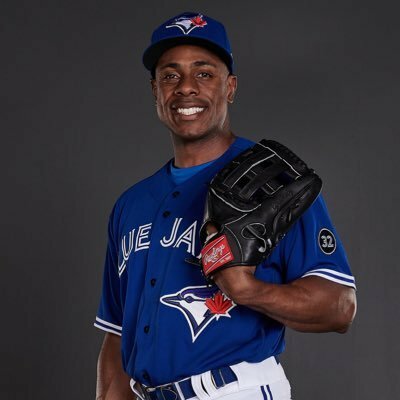 Toronto Blue Jays outfielder Curtis Granderson, a three-time MLB All-Star, will be the special ‘Title Holder’ for the World Championship main event of Slammiversary – the showcase summer spectacular from IMPACT Wrestling. Slammiversary will be held Sunday, July 22, at the Rebel Entertainment Complex in Toronto, airing live around the world on pay-per-view. IMPACT World Champion Austin Aries defends the title against Moose, who played 62 games over seven seasons as an offensive lineman in the NFL before transitioning to pro wrestling. In addition, Johnny Impact will throw the Ceremonial First Pitch on Sunday, July 22, ahead of the Blue Jays’ home game against the Baltimore Orioles at the Rogers Centre. Granderson made his major league debut in 2004 and has played more than 1,800 games. He founded the Grand Kids Foundation (www.GrandKids.org) in 2007 to provide educational and athletic opportunities to children in need across the country. Granderson was the 2016 winner of the prestigious Roberto Clemente Award, given annually to the MLB player who best exemplifies the game of baseball, sportsmanship, community involvement and the individual’s contribution to his team. Granderson is a lifelong pro wrestling fan and has attended numerous IMPACT Wrestling shows over the years. Granderson was featured on an IMPACT Wrestling trading card in 2009 from Houston-based Tristar Productions, Inc., including a limited quantity of autographed cards. IMPACT Wrestling will hold television tapings for its flagship weekly show IMPACT! on Monday and Tuesday, July 23-24, at the Rebel Entertainment Complex in Toronto, which airs Thursday nights (8 p.m. ET) on Fight Network and GameTV in Canada, Pop TV in the United States and in 120 countries around the world. Tickets to all three IMPACT shows, July 22-24, are available at www.shopimpact.com. For more about Curtis Granderson, go to: CurtisGranderson.com.